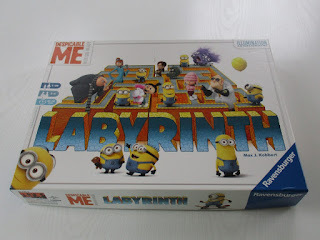 The Despicable Me Labyrinth Game by Ravensburger - A Winner! The Despicable Me Movie is a big family blockbuster movie this summer. If you haven’t seen it, it is great fun for the dog days of summer. Whether or not you have seen the movie, this Ravensburger - Despicable Me Labyrinth game spells lots of family fun. I tested it out with my 8 year old grandson and found that it was challenging and engaging. 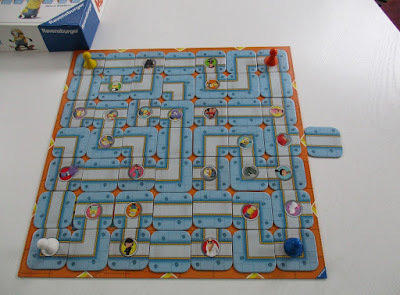 You set up the game board randomly placing 33 maze tiles on the board plus one off the board next to one of arrows. (The board has some set tiles that don't move.) The 24 character cards are dealt face down to the players. In turn each player chooses a character card and then uses the “extra” tile to push the maze by one tile width anywhere there is an arrow. Then the player moves his piece trying to get to the character on the card he has drawn. Since the maze shifts on each turn this can get challenging….but sometimes the shift will give you a clean shot – or perhaps a circuitous route - to that character. 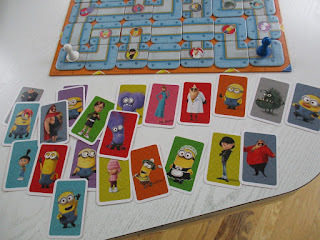 If you like games where the possibility of winning is always changing you will love this. And you have to always be adjusting your strategy as the maze is always changing. The object is to get to all the characters in your hand first. 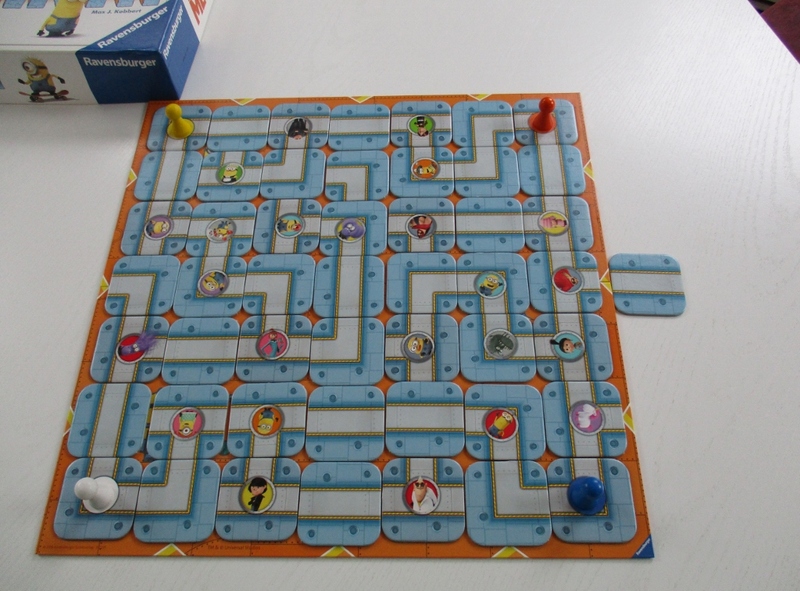 2 – 4 players can play. Ravensburger is well known for puzzles. 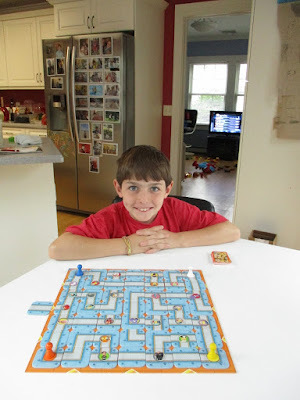 Now that Wonder Forge has joined Ravensburger they have used both their game and puzzle know-how to create a new kind of challenge with both game playing and puzzle solving skills needed. The box says it is for ages 7 - 99. But I think most 7 year olds could get frustrated but the constantly changing gameboard and figuring out the best strategy. And 99 year olds…..well if they are patient and still have good eyesight and know what a minion is…. Here’s my grandson after the first game. You can see that he is ready for the challenge to take me on again.